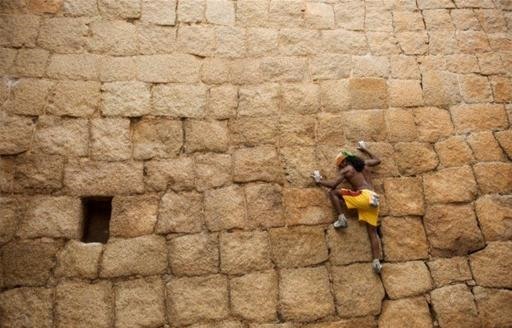 Real life spiderman, Jyothi Rai of India, spends his time entertaining tourists by scaling walls of the Chitradurga Fort. The daredevil works completely harness free. Inspired? WonderHowTo's Climbing videos may be a good place to start. Scroll all the way down for videos of Jyothi in action. I think that wall must be magnetic ! i wonder the weight and height of this guy? for optimal physics he must have interesting proportions. Your such a moron! GOD!!!! balls + skill = great combo. This guy knows what he's doing. 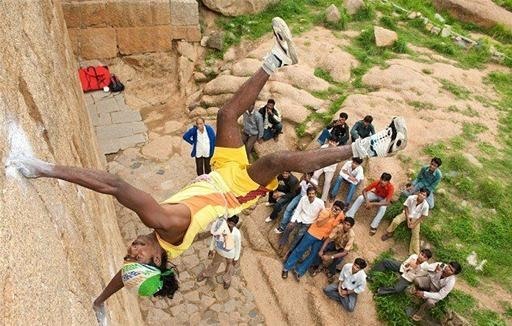 On a side note, rock climbing is part of Olympics? Really? whoa you're right. unsubstantiated fact. Thanks. marat, did you know they took rollerblading out of the Xgames? in real life or just 'mirror's edge' on xbox? That is amazing I think its real. I have seen the guy 1st hand and he is just too good...!! !.had been to chitradurga a few months ago and simply amazed by him..But sadly he gets very less recognition and relies mostly on what the tourists pay him for that freak show he puts up which is VERY low..Such a shame! 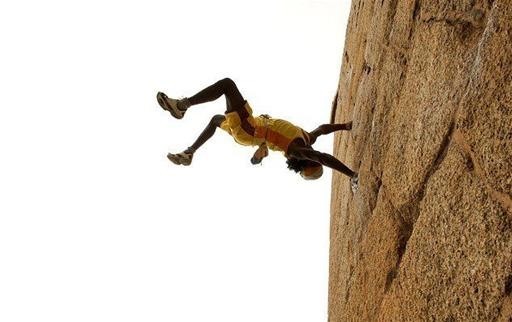 is he just a climber or does he do acrobatics? sad that he's not paid well for his incredible skill.